I’ve been tracking my listening habits with Last.fm since the end of 2006 (108,000 tracks played and counting) and in the past 8 years or so I never noticed that the “New Releases” tab of Last.fm’s recommendation engine has an RSS feed! You’ll need a last.fm account. 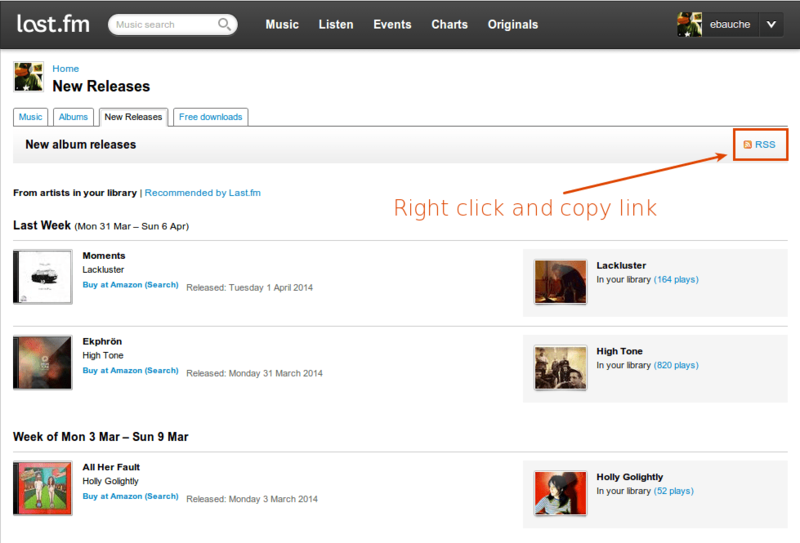 Log in to last.fm and go to the new releases section of your recommended tracks and albums. You should see something similar to the above – note the “RSS” to the right above your recommendations. Just copy this link and head over to your RSS feed reader (my preference is feedly.com), and add it to your feeds! 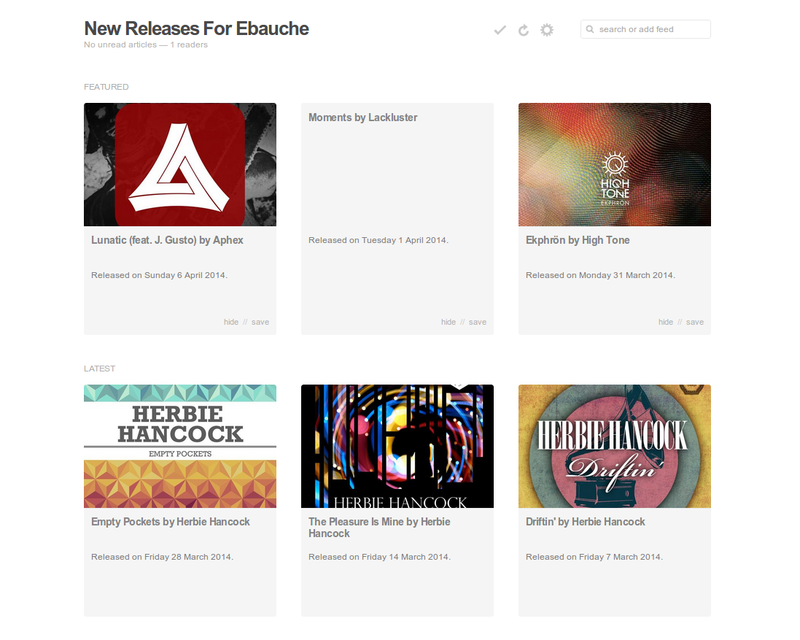 You now have a beautifully visual way of keeping up to date with your favourite artists’ latest releases.